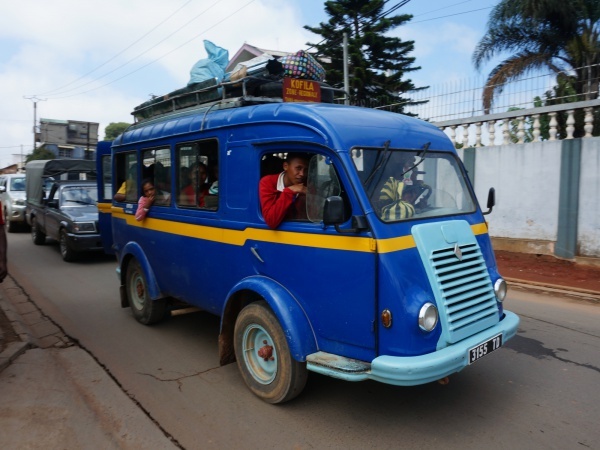 Organised vans for transporting people and goods against a fee through the country of Madagascar are called taxi-brousse. 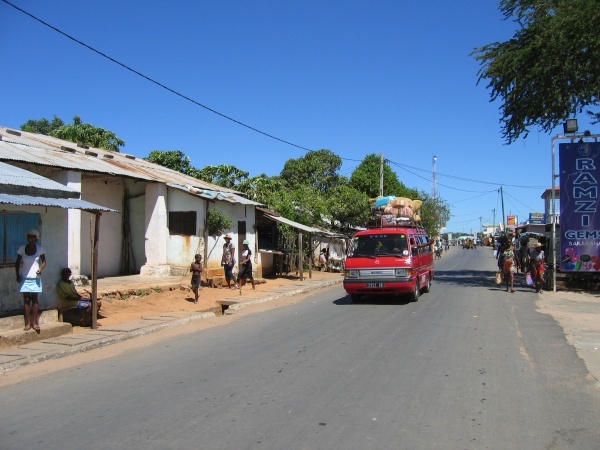 Usually a taxi-brousse station can be found next to the market of the town. Destinations and prices are written on the windscreen of each car. A fixed time table does not always exist, most taxi-brousse leave when the car is filled with passengers. Paying for empty seats can accelerate the departure to a considerable degree. 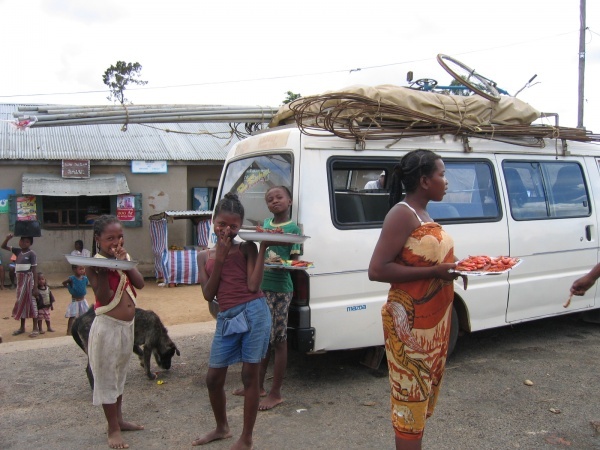 At long-distance travels the driver will stop for a break at restaurants or street stands. Many drivers mistake the ride with a rally and accidents are not uncommon. It is advisable to make sure the car ride is finished before dark on untarred roads. This page was last modified on 30 March 2018, at 20:50.